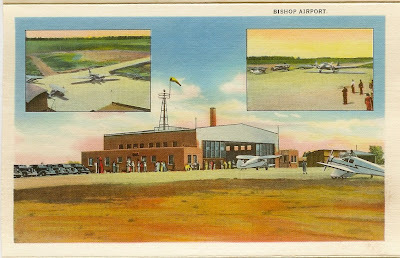 I was an intern at Bishop Airport in the 1990’s and the deer on the grounds are a hazard. There were times when the Fire & Rescue Squad located at the airport would be called to scare a heard of deer off runways. At the time there was lots of wildlife, including coyotes, which took refuge on the airport grounds. Thanks for the comment. Just to clarify, this wasn't an animal rights post. Deer running around on the runways would not be a good situation. But although this ended without injury, somebody could have been killed with the errant shot. Bishop might need to come up with a better plan than just sending somebody out with a rifle.